FK chats to Danielle of Sydney lifestyle label Milk & Thistle. 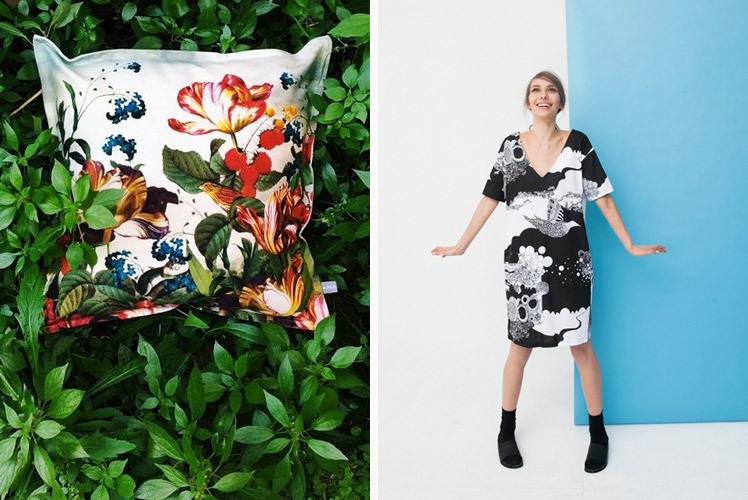 Look out for Milk & Thistle’s stunning statement designs at the upcoming Sydney Markets as well as their flagship store in Newtown. Tell us a bit about MILK & THISTLE and what we can expect to discover? 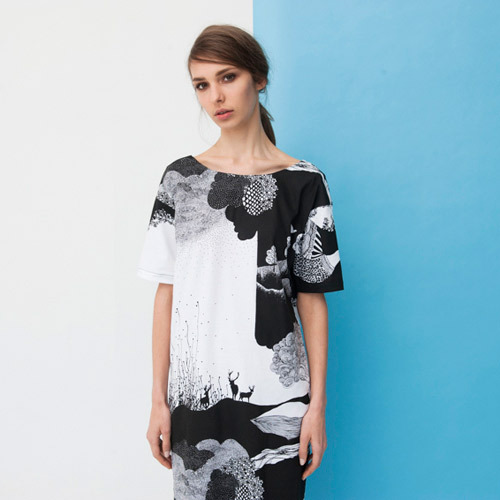 Milk and Thistle is a lifestyle brand that presents unique textile prints onto a selection of womenswear clothing and homewares. We are committed to manufacturing in Australia and supporting local industry. 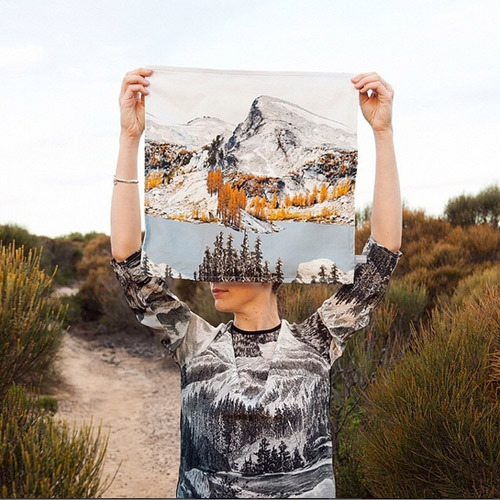 Our prints are often inspired by nature, including detailed landscapes and intricate botanical and animal prints. You will find statement pieces that have a creative edge but are adaptable in your wardrobe and your home. 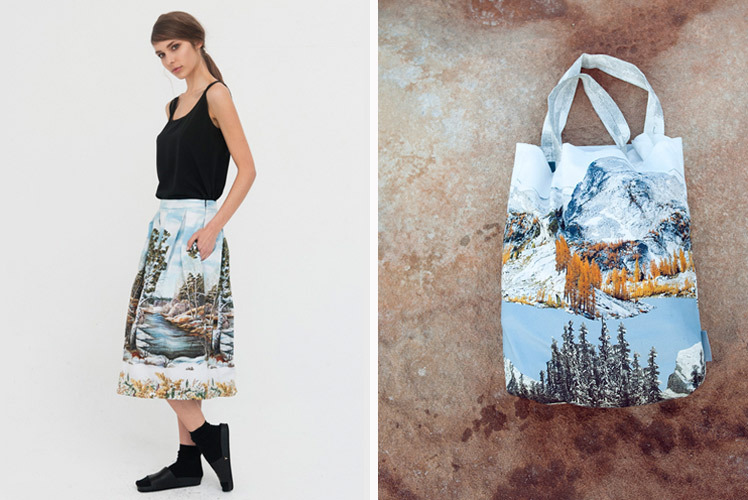 What is your background and how did you start working with clothing and homewares? After spending over a decade in the music industry it was time for a change. My past time of collecting fabrics led me to study textile design and printing at Ultimo TAFE. My original goal was to create boldly printed fabrics for outdoor furniture, something water and UV resistant, something that wasn’t so easy to find 12 years ago, but it became apparent that clothing was a far more accessible way to get my fabric design out into the world. Many weeks were spent screen printing jersey tees in the garage and the label grew from there. We now focus on easy fit silhouettes with unique textile prints. Homewares was a natural progression once I had grown the clothing range. I think as i was getting older I noticed my friends and I started getting more excited about home interiors so it was nice to diversify the label with a product that could feature our fabrics so well. Keeping motivated isn’t easy at times. It comes and goes. Some weeks you get a surge, others days it’s a struggle. Strangely enough I look to a lot of home interiors now for clothing and print inspiration. At the moment i am looking at a lot of ceramic artists for print inspiration and am looking at an exciting collaboration soon with a US ceramicists. Her work blew me away the moment I saw it and immediately thought what a wonderful print it would make. My space is a beautiful converted warehouse in Surry Hills with loads of streaming natural light and lots of vibrant greenery hanging from the rafters… NOT! I wish. My workspace is predominately at home as I have two kids under 5 and or the moment this works bets for me. The space is a wonderful mesh of lego pieces, fabric rolls, pattern pieces and Peppa pig merchandise. Every designers dream space. I also do a lot of my designing whilst sitting in my store in Newtown. It’s a less hectic space to gather my thoughts with many good coffee options close by. My creative process is a little disjointed due to a busy home life but it almost certainly always starts with print research. Once the concept is born then it can be a long and tedious process at times to get the print just right. Other times it can be quick and easy. From there a colour palette starts to form from that first print idea and then garments are tailored to present the print in the best way possible. Often I print the textile design out to scale on paper first to make sure the scale is just right and that it works in my intended garments. Gosh, challenges I have faced… too many to mention. I am beginning to realise my biggest challenge is delegating. So much of what you do is ideas in your head that you just chip away at, but thinking more systematically will help with the delegation process. I also think managing your expectations is another challenge. Be realistic about what you can achieve within your budget, timeframe etc. One of the biggest issues I face season to season is managing the production process. There are so many fingers in the pie that need to be managed. It’s not easy at times but once you find a good team it often runs pretty smoothly. One of the most rewarding things about doing the label is the lookbook shoots, seeing the whole collection realised and presented as a whole. It’s often a huge adrenalin rush and makes the handwork worthwhile. There is also nothing better than the feedback I get from customers. It’s truly the most rewarding moment. I am lucky enough now to come into face to face contact with so many old and new customers with the opening of our flagship store. What can we expect to see from MILK & THISTLE at the upcoming Sydney Markets? I am excited about being part of our first Finders Keepers market. Milk & Thistle will have a variety of products all in our signature textile designs. A collection of our clothing as well as cushions, bags, clutches and otter items. There will be new prints revealed and the revival of some of our popular archival prints.